This weird and strange machine was on our table. 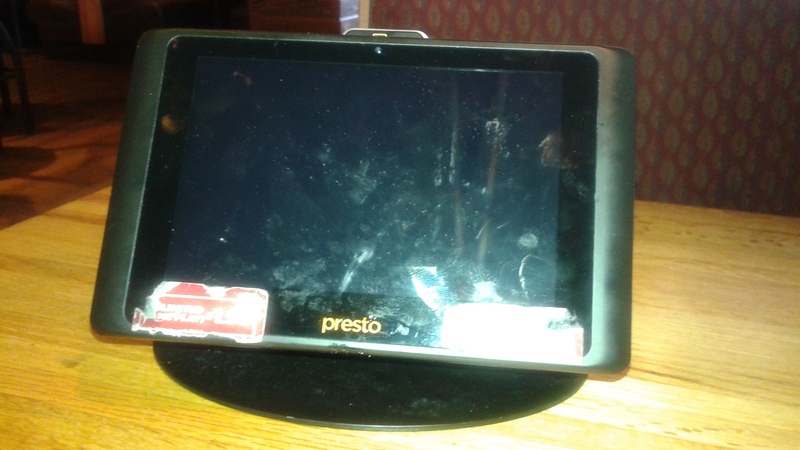 Apparently the device serves no purpose as I paid the bill without using the puzzling dinner companion. 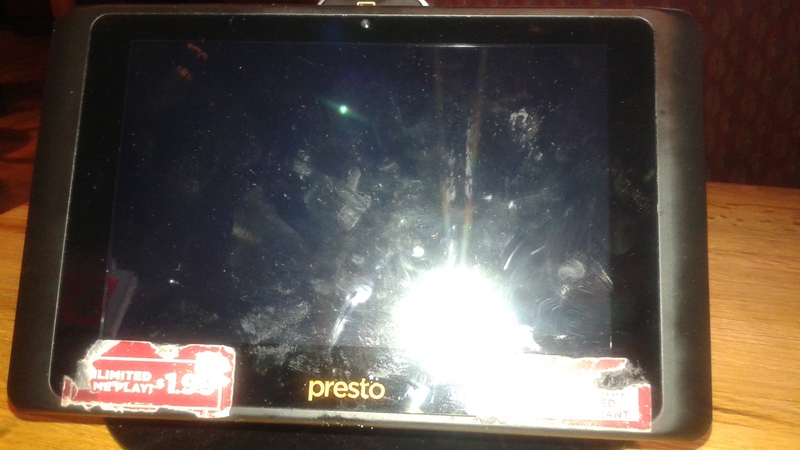 There was a warning on the back of our electronic dinner guest that the device will not operate outside the restaurant. Who would want this thing? I tried picking it up and nearly strained every muscle in my poor arm! Did you ever find out what it was? Nope. It appeared to be a payment device because if you notice at the top there is a place to swipe your card. No matter. We were concentrating on the food. Well they would have been displeased with the results because Stephen and I as well as the other diners were quite Happy. Not gonna let fools, morons and idiots take our joy away. Me too. I figure it drives Trump and the rest of the Republican turds crazy when we laugh at them. Those knuckleheads are giving comedians across America plenty of material. The White House Follies. LOL! Someone who has no idea what it is, but may think it’s valuable enough to sell. Those are usually for making orders, and paying, without needing to wait for a waiter to show up. Haha – I’ve seen them before at Chilis. I don’t see them often. I’m not surprised that something that old and beatup wouldn’t work.